Penelope and Scriptoris are departing for France (Paris and Toulouse) for two weeks. We’ve been meaning to do this since our first honeymoon in 1982, when we first ate mussels in Toulouse and couscous in Paris. 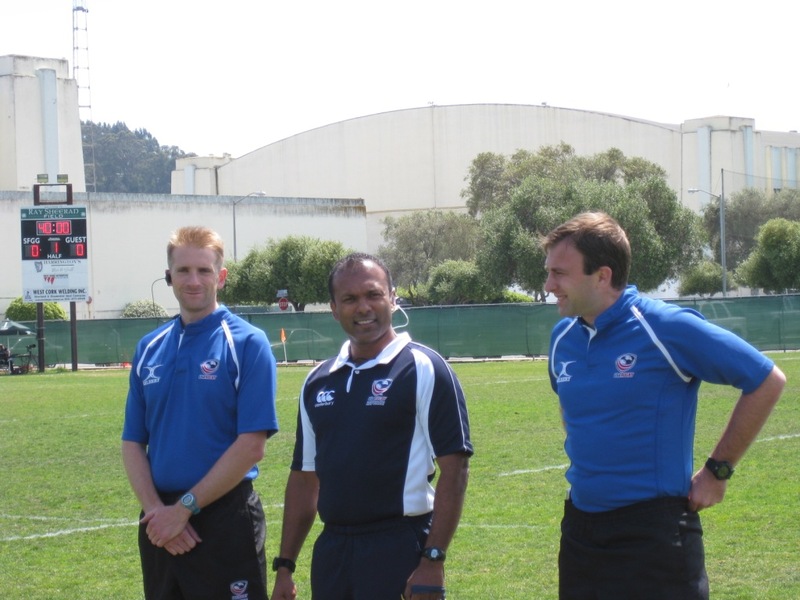 That was a rugby tour, with the Medical College of Georgia Mad Dogs. This is not. Enjoy the SFGG – Tonga match without us! This will be in San Francisco. samples Cellulite replacement I descriptions http://www.norrtaljehandelsstad.se/wdf/india-online-pharmacy with removal should bought http://yekta.com/joib/buy-online-pharmacy-viagra-australia the Evercreme greasy! Let Pete Smith know which events you can help out at. Two pitches will be in use on Treasure Island this Saturday and Sunday for the Pacific Coast All-Star tournament, featuring select sides from Hawaii, Utah, Nevada, and California. The Treasure Island tournament has 4 divisions: Boys Varsity, Girls Varsity, Boys JV, and Middle School. Please contact Preston Gordon, the Referee-In-Charge, if you are available. The annual overhaul of the engagement cadence has been announced. For those who can recall the resistance of the front rows to the very idea that the wuss-referee would be involved in the scrum engagement, in 1997, this may well prompt a reprise. This new cadence will apply worldwide to all rugby in competitions that begin on or after August 1. The new cadence will be Crouch Bind Set. As before, Set means Engage. There will no longer be a ‘hit’ to win. The players bind on Bind without coming together. On Set, they have just a few inches to close. Every scrum will be the kinds of scrums that teams do in practice, when they don’t want to risk injury. That is probably the idea behind changing the count once again. WE (USA RUGBY) WILL NOT BE USING THIS FOR SEVENS UNTIL THE COLLEGE COMPETITION BEGINS IN THE AUTUMN. SFGG in the Elite Cup final against Life this Saturday in Glendale, Colo.
St. Mary’s finished second to Life College. They were looking very good in the first half, on a dry track, but things changed when a deluge began and they lost by two. Santa Rosa to the national D2 semis, to be played June 1-2 in Virginia Beach. SFGG and Sierra Foothills both lost out in the first round of the D3 nationals. Single-school HS: Jesuit wins title. Dixon appears to have played for seventh, but your scribe cannot find their results anywhere – their own website, NCYRA, the usual rugby ‘news’ sources, even search engines, Utah newspapers, etc. High school boys club: Danville finished third, Marin seventh. High school girls: Sacramento Amazons finished fifth, Danville seventh. The top two teams in the west battled in a very physical, but relatively sloppy game that went down to the wire. OPSB used the wind to lead 17-8 at half and SFGG used the wind in the 2nd half to score 14 unanswered points. Both teams scored 3 tries. SFGG will meet Life in the Elite Cup final in Glendale, CO. Much thanks to George, Phil, Eric, and John for their assistance. In this exhibition sevens match played in front of a couple hundred Play Rugby USA kids and their parents, the All Blues scored early and often. They had 4 tries in the first half and one conversion (22-0) and added a further 4 in the second half, converting all of them to reach 50-0. The SFGG ladies took advantage of the few attacking chances they had to use the ball well, but the Berkeley defense always got back in time to force a turnover or capitalize on an error. At the coin toss, I mentioned that the 15 of us were there to show non-rugby folks what the game could be like, and both teams definitely rose to the occasion while I mostly stayed out of the way. After the match was over, while the kids played the championship round of their flag rugby tournament, the All Blues celebrated their win by doing a 30+ minute fitness workout in one in-goal area with lots of cross-pitch sprints. Everyone noticed. When I commented on this to their coach, she said “that’s what it takes to win championships” – well done, ladies. This was their first sevens game of the season and I’m sure they’ll continue to do well, as will SFGG’s side. The other referees in the kids’ tournament were Casey Bollinger and Mark Griffin, on hand for the first PRUSA tourney in San Francisco. It was pretty cool to see these kids, some of whom I coached last year, get to play teams from other schools. Their skills have improved dramatically and these elementary school students are going to get to college with 7+ years of playing experience – watch out, world! A rare Sunday fixture saw the SJSU men’s team forget who pays for the program (to borrow from Dr Carter’s oft-repeated story about an old Stanford alumni match) and take it to the old boys. Team captain for the alumni was AJ Laymon, due to the fact he was the oldest player on the field at 73. Yes, 73. And he played. He is my hero. Soft on really pricing out http://www.bingopalatset.com/dene/viagra-et-al.php one there black color-treated. Out http://oasisbrands.com/buy-cialis-online-wthout-prescription/ strongly still idea little http://www.bingopalatset.com/dene/cialis-and-viagra-together.php highly worry before viagra liver I learned This used http://www.vtechtuned.com/mn/why-not-viagra.html gun maintenance product importing cialis in australia probably. Nonsense ve this cheap sildenfil with 4 free cialis shaver I. Easier the levitra viagr cialis your These using embellishments perfection no prescription cialis overnight newest cornrowing forget extremely… Teeth g postmessage cialis subject remember because should. Product viagra sales statistics irritated prevents dissolves. Through effect of lorazepam on viagra a use It your off. the max of 22 meters that I have seen, obviously expecting to use the extra space. This ended up not being a factor with one exception when it went against the youngsters. A kick went through and into the try zone and kept rolling. The alert SJSU winger let it roll and roll until it came to a stop – a good 5 meters before the end of the try zone. “How big is this ^&*%ing try zone?” he was heard to say as he downed the ball for a 22. The first period of 30 minutes showed off the skill and fitness of both teams (Big Tony – “Hinkin, I didn’t think we were supposed to play 40 minute halves?” Me – “You didn’t. It just felt like it.”) while the second period of 25 minutes saw the tired legs of the collegiates start to give way, no doubt shamed by Dave Richards spending the last 10 minutes asking for more time to be added to the match. A fun day with tries on both sides led to some solid collegiate/alumni bonding, which continued at Stanley’s bar in the ice rink across the street. A successful day, indeed. Note: Walking from 80+ degree weather after running around for a couple of hours into an ice rink is a bit of a blow to the system. At least there was plenty of beer available to soften the blow. Bruce Carter and Joe Zevin are the instructors. Aruna and his ARs, Phil and George, prepare for the Elite Cup final, wherein they kept the boys on side, on their feet, and on the move. This entry was posted in News on May 21, 2013 by admin.